Old Trafford was treated to another Arsenal vs Manchester United game, and the fixture ended 2-2. 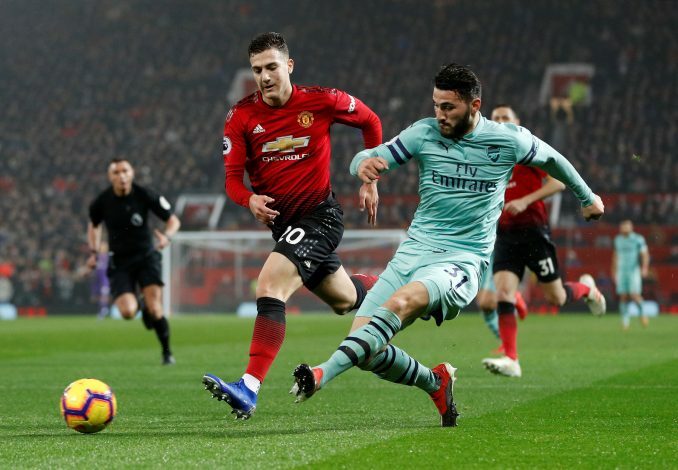 Mustafi and a Rojo own-goal gave Arsenal their stats of the game, while the Red Devils were brought back into the match through equalizers from Anthony Martial and Jesse Lingard. Jose Mourinho was particularly perturbed at the injury list the side was sporting prior to the fixture, with his pre-match press conference seeming to strike fear that the side may have not even be capable of fielding a single fit centre-back for the crucial game. Fortunately, the home side was able to fashion a fairly decent starting lineup. The new face for Old Trafford to relish was that of their new signing Diogo Dalot, who was unable to make an impact since his summer transfer due to an injury he was receiving treatment for. As of such, against Arsenal, he was gifted his first start of the season, having made his Premier League debut via substitution last week against Southampton. They will certainly feel like the game could have been won, and no scoreline that is brought down by an own-goal sits right. Dalot’s antics during the 90 minutes were impressive for a player of his age, but nothing too special. Nevertheless, when Luke Shaw regains fitness and Dalot begins to familiarize himself with the style at United, the club may, in all honesty, have a steady full-back pair for quite some time.